Travis: A Soldier’s Story Movie - Travis Mills - Retired United States Army Staff Sergeant and recalibrated warrior. Available on DVD, BluRay, iTunes, Amazon and Netflix. Travis: A Soldier’s Story is a challenging documentary featuring the inspiring true story of United States Army Staff Sergeant Travis Mills of the 82nd Airborne. Featuring powerful interviews and emotional reenactments from Travis and Kelsey Mills and fellow soldiers who witnessed the events of April 10th, Travis: A Soldier’s Story is an intimate look into the life of a wounded soldier as he faces the unimaginable physical and emotional challenges of this life-altering injury. Travis’s story sheds light on the daily inward and outward struggles of our wounded veterans and the difficult rehabilitation processes they face. Travis’s openness and incredible perseverance will challenge us to look at the way we deal with our own personal trials in life. The award-winning documentary, Travis: A Soldier’s Story toured in cities nationwide gathering veterans, families, gold star families, servicemen and woman and beyond. The film received standing ovations across the country and screened at the U.S. Capitol for our nation’s leaders. 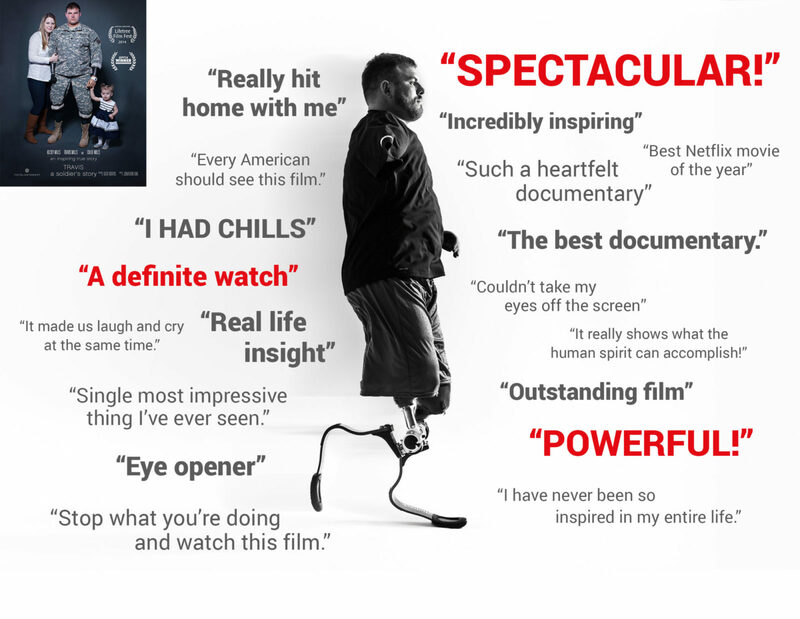 To learn more about the film and for showings in your area, please visit the official website travisthemovie.com.